Hey guys! Hope you had a good weekend. I spent mine editing and helping paint at my Gran's house. Nothing much you can do without a car lol luckily on Friday the garage confirmed that they were replacing the part and it can be ordered. I'm writing this on Saturday so hopefully when this goes live I will be on my way to pick my car up...fingers crossed! On to today's review! 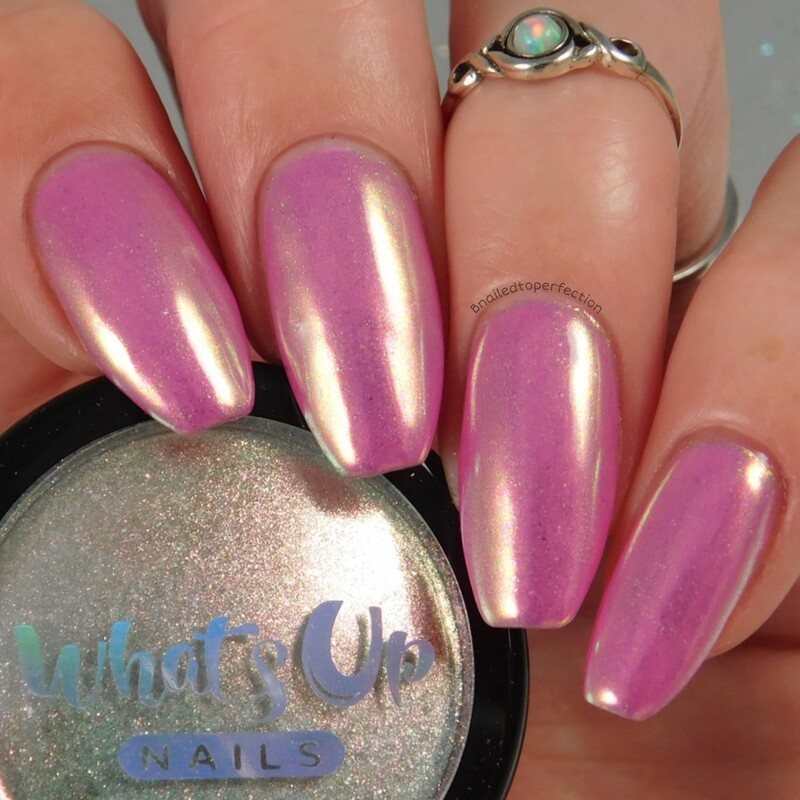 I have some awesome nail powders and a pigment to show you from What's Up Nails. 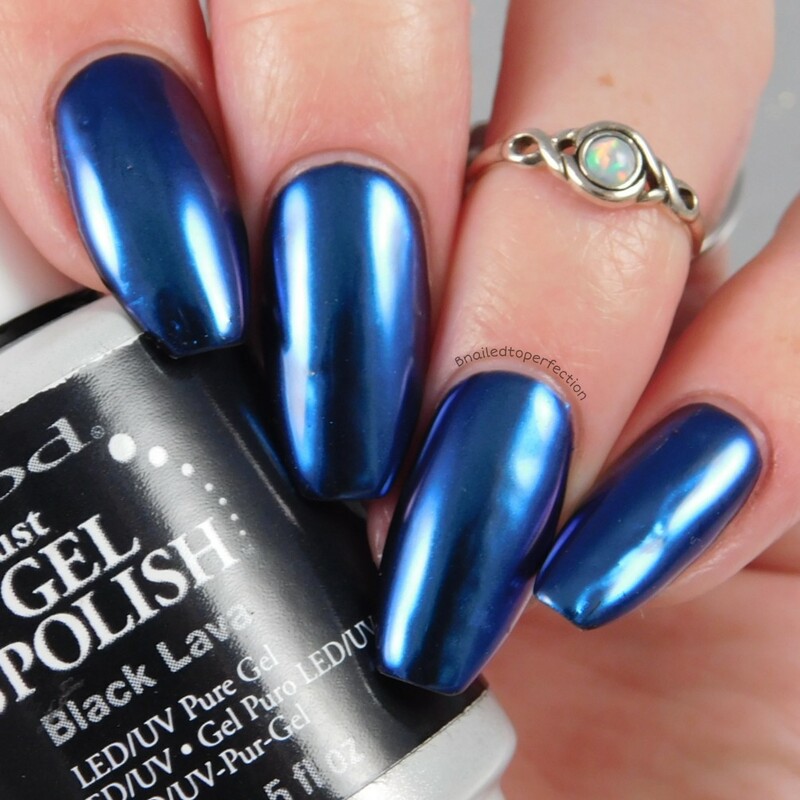 All of these powders/pigment have been applied to a layer of gel polish No Wipe Top coat. 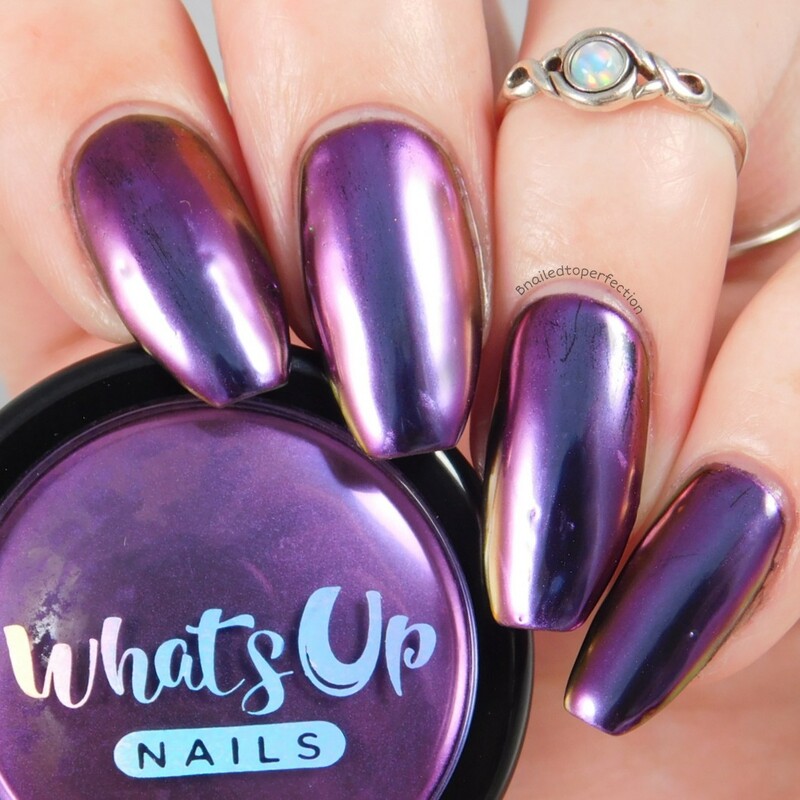 I used a silicone tool to apply and then rubbed my finger over the nail to help get the finish extra smooth! First up is Suntan Powder. 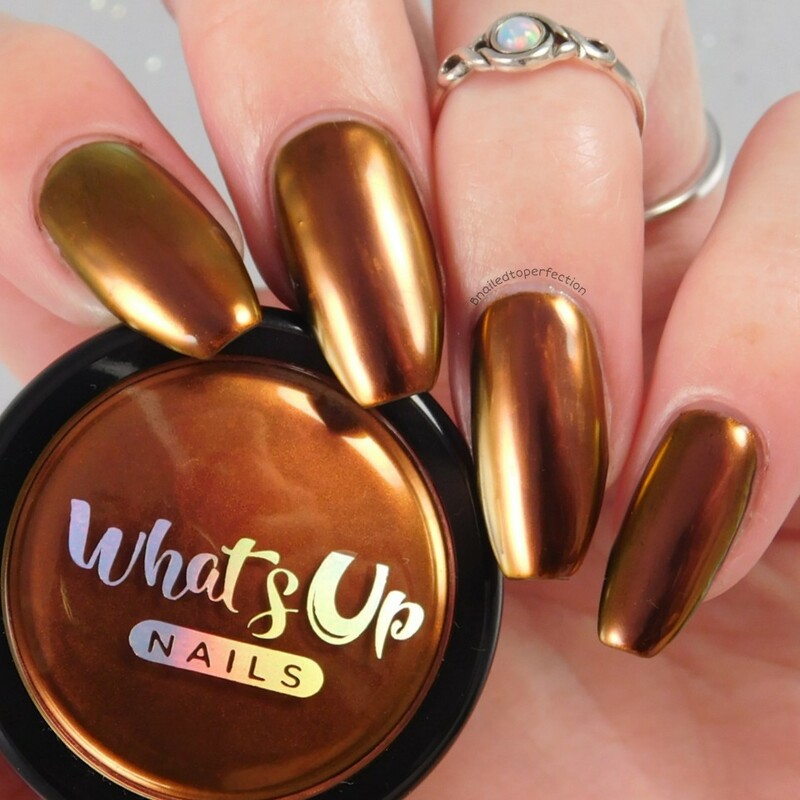 A stunning gold and bronze multichrome ultra fine powder. This is a heavier powder compared to some of the other so if you buy this, don't be alarmed if the jar is less full compared to some of the others. I used IBD Black Lava as a base. Ocean Powder was definitely my favourite. 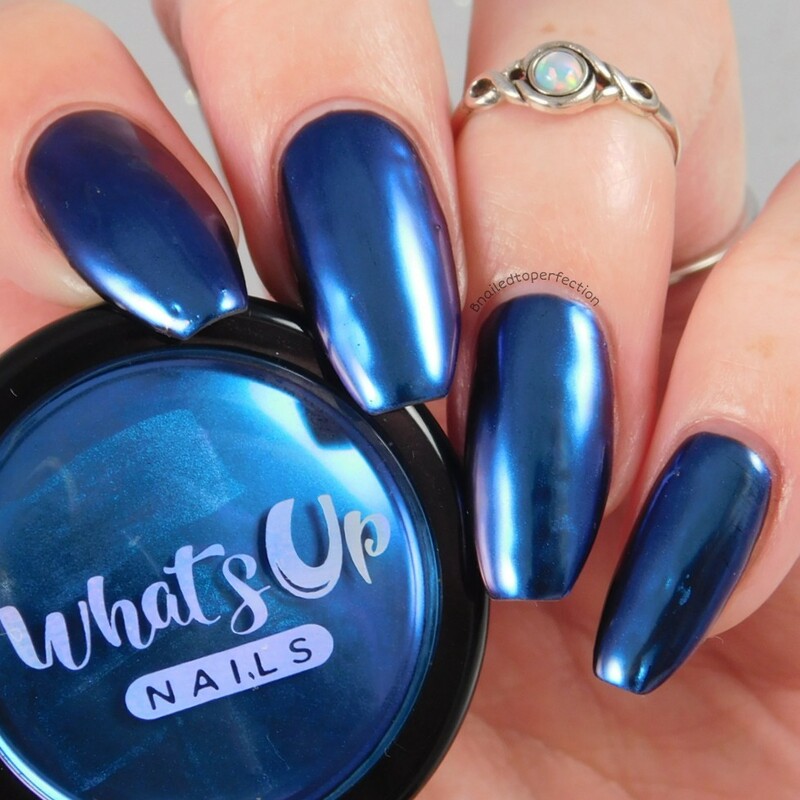 A gorgeous blue super fine powder with a hint of purple. I used IBD Black Lava as a base. 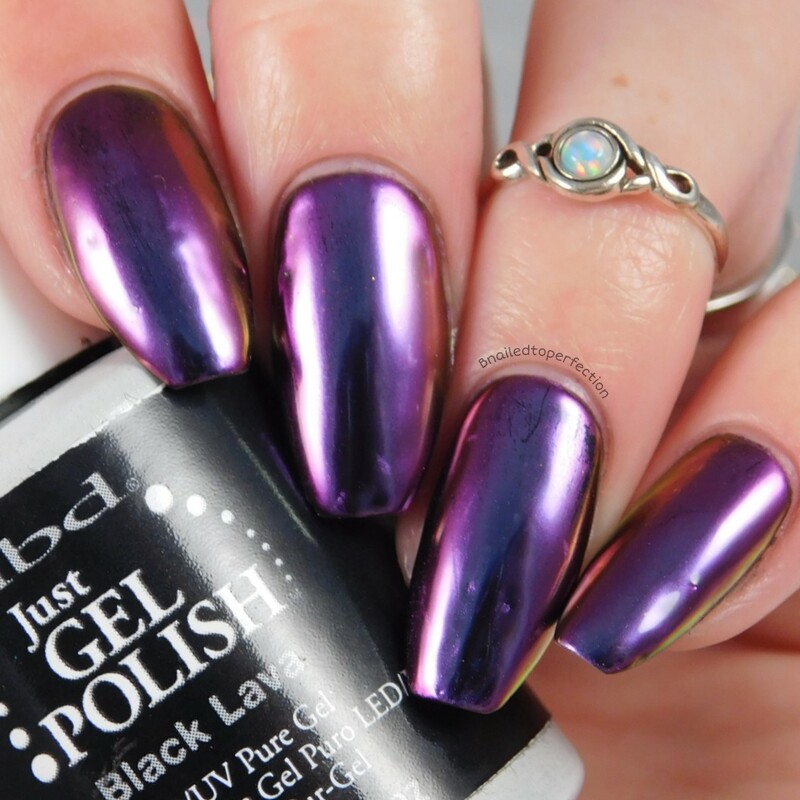 Mirage Powder is a lovely dark purple and pink, with a tiny bit of gold. 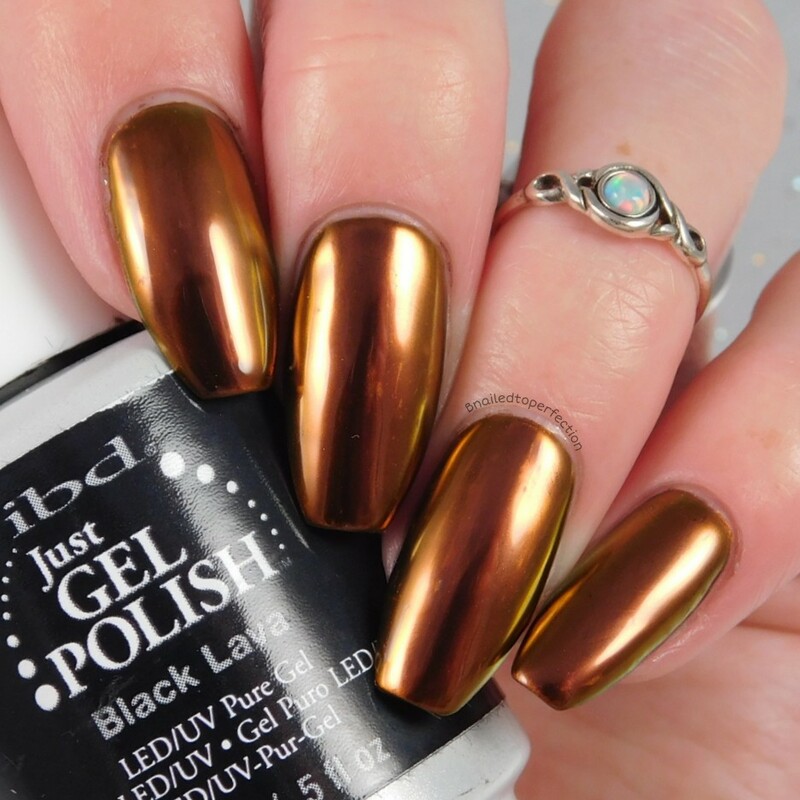 This powder reminds of a shiny beetle like this one! I also used IBD Black Lava as a base. Last but not least is the Aurora Pigment. A special white pigment that will appear as different colours, depending what base you use it over. I put it over a medium coloured pink as I did have a light one. 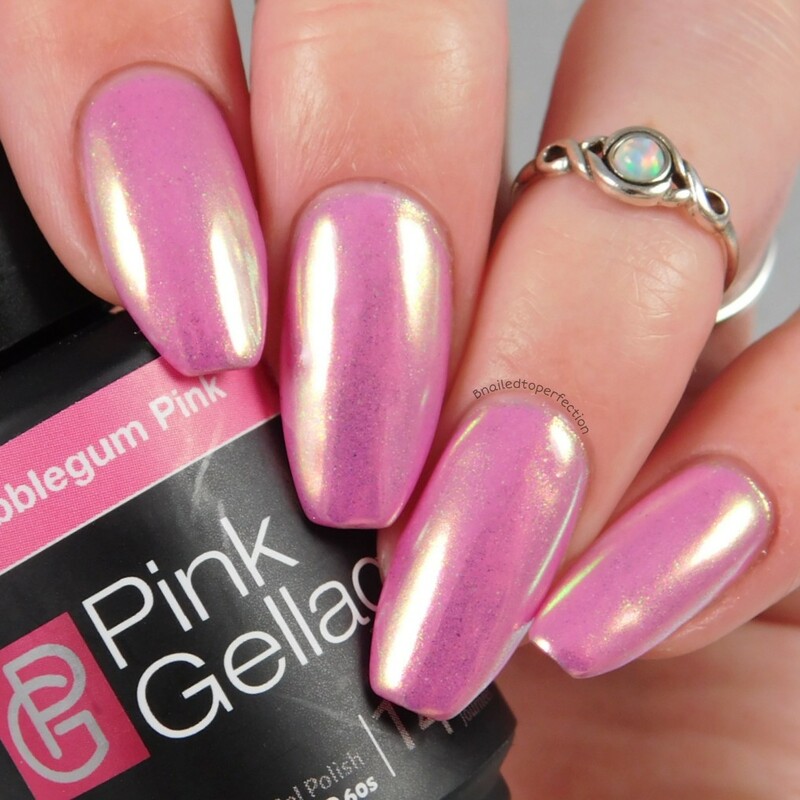 This was Bubblegum Pink by Pink Gellac. 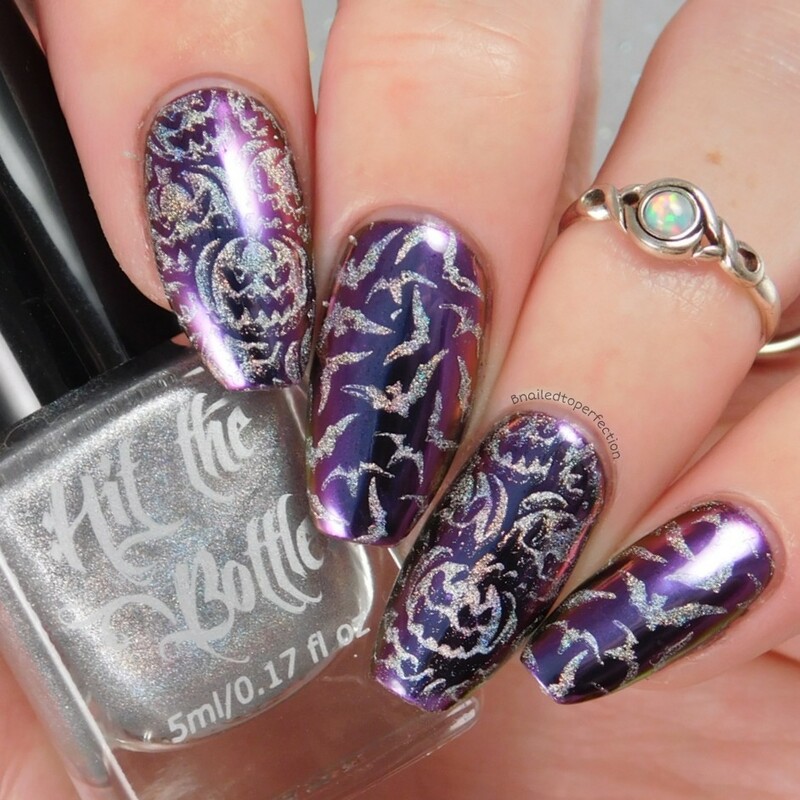 I actually stamped over Mirage with some Halloween images from What's Up Nails plate Creepin It Real and I used Hit the Bottle Holo there beautiful, for a dash of holo! I think it looks pretty cool over this powder. What do you think? 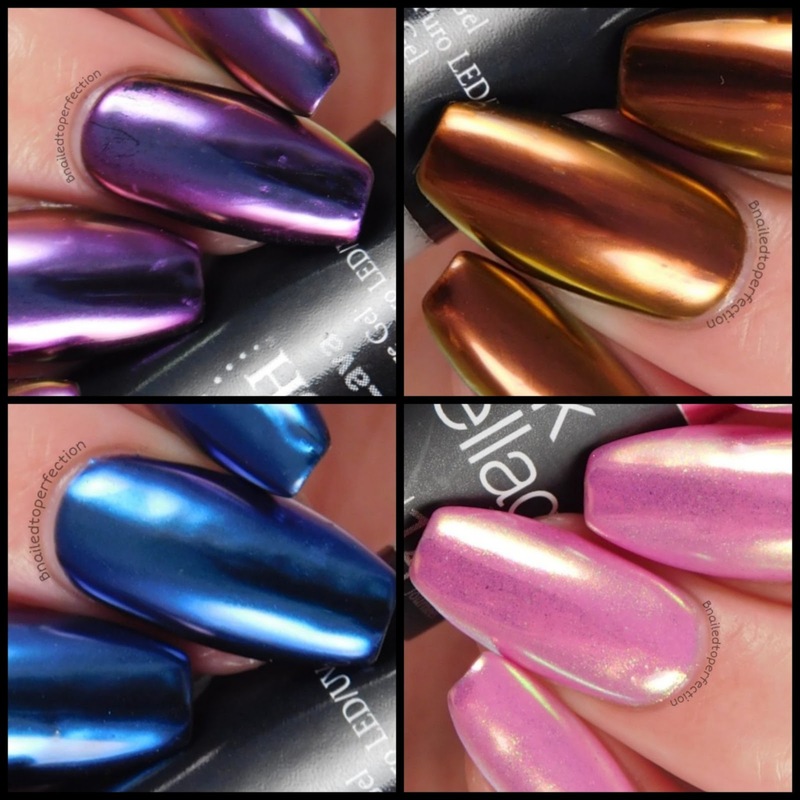 All of these Powders and Pigment in my blog today are $21.75 direct from What's Up Nails.